Bridge Classes - are for skaters Basic 4 and above. 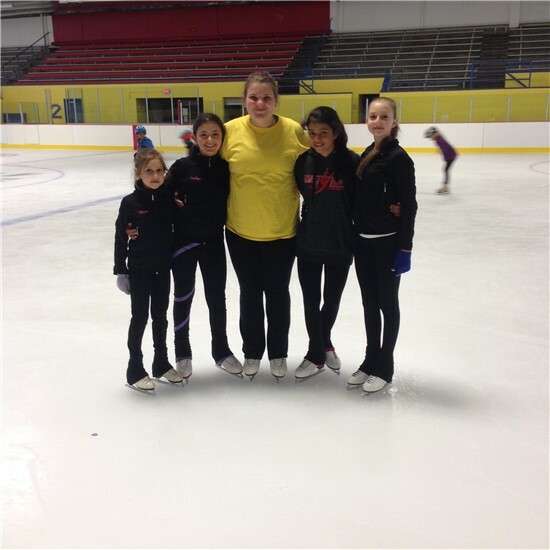 Bridge classes help transition skaters from basic skills into figure skating and synchronized skating. It will allow skaters to try different aspects of skating to see what they like. This is a lower cost alternative to go beyond your regular group lesson class and transition into other aspects of skating as well as private lessons. INTRO TO SYNCHRO - Exhibition Class is for skaters currently working on Basic 4 and above. The curriculum of the class is to introduce skaters to synchro and teach them the fundamentals and basic skills that will become the building blocks for future success in synchronized skating. This class is taught by the head coach of the Southern CT Synchronized Skating Program and can be used as a progression onto their competitive teams. Must sign up for 3 cycles. MOVES IN THE FIELD CLASS - Moves in the field is a technical discipline designed to improve skaters abilities in areas such as stroking, turns, and edge work. This class will teach skaters the required moves in order to go in front of US Figure Skating judges to test. This class is for skaters who are interested in continuing beyond the basics and into freestyle skating or intro synchronized skating. Once you have taken the class for a couple of sessions you will need to take private lessons In order to prepare for the test. Skaters must have passed Pre-Freestyle for this class. Pre-Preliminary and Preliminary Moves Only. SKILLS CLASS (PreJuv & up)- For any skater who has passed preliminary moves or higher. This class will focus on edges and turns needed to progress in skating.